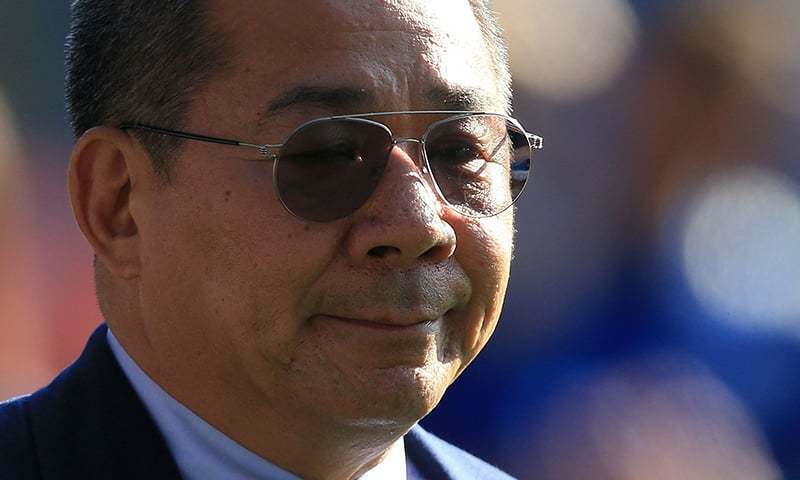 Leicester City's Thai billionaire boss was among five people killed when his helicopter crashed and burst into flames in the Premier League side's stadium car park moments after taking off from the pitch, the club said on Sunday. A stream of fans already fearing the worst, had laid out flowers, football scarves and Buddhist prayers outside the club's King Power stadium after Saturday's accident in tribute to Vichai Srivaddhanaprabha, the man they credit for an against-all-odds Premier League victory in 2016. Police named the four other victims as Nursara Suknamai and Kaveporn Punpare, two members of Vichai's staff, pilot Eric Swaffer and passenger Izabela Roza Lechowicz. Vichai, 60, the owner of Thailand's King Power duty-free empire, was a regular at matches who used to fly to and from home games. The blue chopper took off from the middle of the pitch once the stadium had emptied after Saturday's 1-1 draw with West Ham. “Struggling to find the right words....but to me you are legend, an incredible man who had the biggest heart, the soul of Leicester City Football Club,” Leicester striker Jamie Vardy, one of the heroes of that success, posted on Instagram. Prayers and tributes poured in from the footballing world and beyond for the jovial man many credit with bringing glory to the central English city with the miracle-making club. 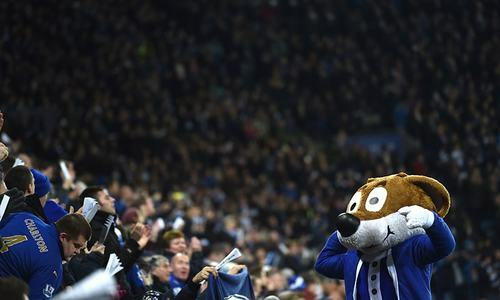 “He's put Leicester on the map,” supporter Cathy Dann, 55, told AFP. “He's made us big,” she said, as aviation experts picked through small pieces of wreckage scattered on the stadium's edge. Among the tributes was an image of Ganesh, a Hindu god also seen in Thai Buddhist temples. A minute's silence was observed before the whistle of Sunday's Premier League matches. “It is a family business and they have instilled this sense of family not just throughout the club but into the city as well,” Andrew Hulley, the team's chaplain for the past seven years, told AFP. And football fans in Bangkok said Vichai had helped develop the sport in Thailand as well, bringing the Southeast Asian country greater recognition in the sporting world. “He is an important person who has raised the bar of Thai football further,” Apichart Jitratkavee, a Leicester fan in the Thai capital, told AFP. 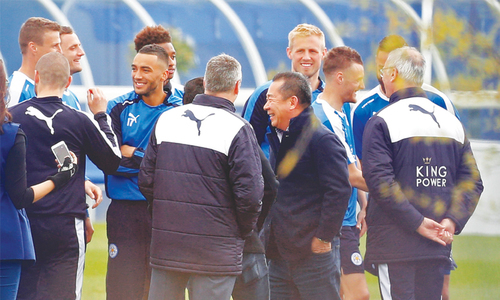 Vichai bought Leicester City in 2010 and moved to chairman the following February, pouring millions into the team and becoming a beloved figure in the club and the city — a feat rarely achieved by the Premier League's foreign owners. Vichai's investments in the club helped return them to the Premier League from the second-tier Championship in 2014. Languishing at the very bottom of the table for most of the 2014/15 season, the Foxes, as the team are nicknamed, then engineered what fans now fondly refer to as the “Great Escape”, winning seven of their last nine matches. They ended up finishing 14th, securing another season in Europe's richest league in 2015/16. Vardy scored in 11 consecutive matches, propelling the men in blue to a title without parallel in Premier League history. The success also qualified them for the first time for the lucrative Champions League, the pinnacle of European football, where they again defied the odds to reach the quarter-finals before losing to Atletico Madrid. The impact made by Leicester's remarkable rise under Vichai across the continent was reflected as Spanish giants Barcelona and Real Madrid both expressed their condolences. A billionaire, yet a very nice individual. Footballers and managers earn crazy money, but this man gave something back. Very sad for all five who perished. RIP brave souls.